Maybe by next year, new consumer-focused PCs, desktops, and 2-in-1s could arrive with a lightweight version of Windows 10. No, it doesn’t have any links to the existing Windows 10 S – a spinoff of the Windows 10 Pro. 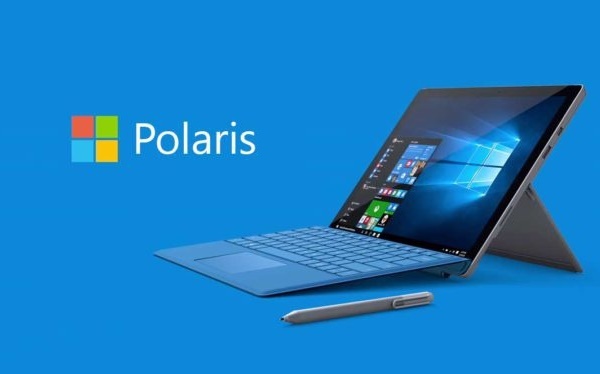 According to a Windows Central report, Microsoft is working on a lightweight version of Windows 10 called ‘Polaris’. The new modular operating system will be powered by Windows Core OS and CShell. We have told you in earlier reports, Microsoft is making a similar attempt for mobile devices in the form of Andromeda 16:07:22OS. The modular operating system is being built from scratch for a rumored foldable Surface device. Polaris will only use UWP, ditching the legacy components such as Win32. Doing so would allow Redmond to reduce the size of the OS, improve performance, beef up security, and extend battery life. Stripping off the legacy stuff will leave the OS incapable of running the desktop apps natively. While even Windows 10 S can’t do so directly, it supports desktop apps on Microsoft Store, made compatible with the help of Project Centennial. For Polaris, Microsoft would try running Win32 apps via remote virtualization, similar to what is done in the case of HP Elite x3, but with containers to provide a “native” experience. When looking at the recent reports, all the enhancements Microsoft has been implementing in Windows 10 can be seen as a vision for a unified version of their OS in the upcoming future. This includes slowly dissolving the Control Panel and other traditional settings into the new Settings app with every following Windows Update. The existence of an UWP-based File Explorer app since the Creators Update is another step towards ‘One Windows’. Microsoft could launch the app by the end of 2018. Polaris is intended for the consumer base which doesn’t need feature-packed powerful systems. Multitasking for such users is not beyond running Office, a web browser, and a music player app at the same time. Building a lightweight OS would give them the thing they want, “battery life and performance”. The new version of Windows will arrive on a plethora of different devices, but existing Windows users won’t be able to upgrade to it. Also, there won’t be any means to upgrade to Windows 10 Pro, the legacy version, which will live alongside Polaris, serving gamers and power users. Bringing a modern operating system free of aging components to the market is a much-needed move for Microsoft. It will help Redmond protect their PC market share being snatched away by companies like Google and Apple sailing on ARM boats. Polaris would help the company power their new ARM-powered breed of the personal computers which they promise will deliver an all-day battery life. The report says that the first version of the Windows 10 Polaris is expected to arrive sometime in 2019.